How is he setting an example? Green MEP Sven Giegold lists all the interactions he has had with lobby groups, including the name of the group involved, the decision they are targeting, and information about how those proposals were dealt with. 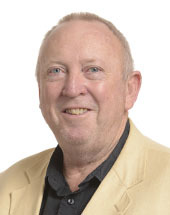 On his blog he lists the lobby requests received and his responses to them, stating clearly that if the box “How we have responded” is empty, it is because the position paper was noted but no further response was deemed necessary. 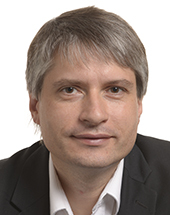 In 2015, as rapporteur of a European Parliament report on transparency and integrity in the European Union institutions, Sven Giegold initiated a transparent consultation process whereby position papers and suggestions received during the drafting process are published automatically on his website. 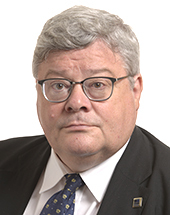 Green MEP Reinhard Bütikhofer publishes information about meetings with lobbyists as well as roundtables and public events that he attended, listing the organisations represented and the names of attendees. 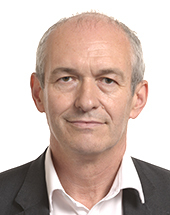 S&D MEP Richard Corbett has promised to publish information about meetings with lobbyists and other organisations every 3 months on his website. He demands that the organisation is on the European Transparency Register before agreeing to a meeting. Green MEP Keith Taylor publishes date, time (if applicable), attendees’ names, subject and location of all his meetings. » The context in which they meet. The latest report is available here. 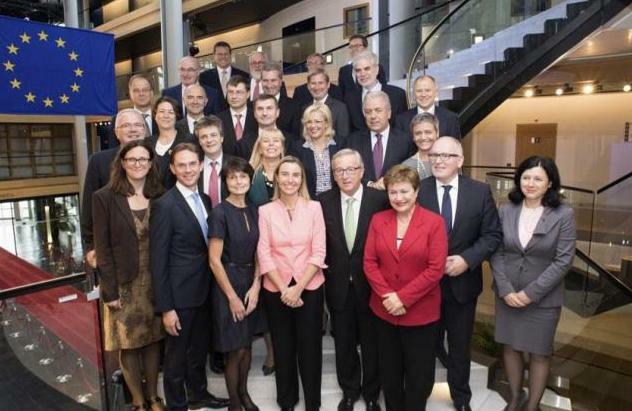 However, the level of detail reported by each individual MEPs varies considerably, with some reporting no lobby contacts at all in the past six months, whilst others provide details of dinners, calls and conferences, or of tours and visits. The specificity of the subject matter also varies as some descriptions are rather vague, for example “UK economic recovery”, whilst others, such as those reported by Nerj Deva, (“To discuss chemical regulation in Europe with regards to manoeuvrability and restrictions on the use of Chromium 6”) and Charles Tannock (“Attended an event to hear about the establishment of a Credit Union outlet in my constituency in order to learn about the services it can offer local residents”) are much more complete. The UK Conservatives also list information about their membership in European Parliamentary Intergroups, clubs, fora or body of any kind with an interest in European Parliamentary activities. » Document on climate change – Institutional Investors Group on Climate Change (IIGCC). » Document by US Chamber of Commerce and BusinessEurope: suggestions on how a regulatory component could be developed by describing the provisions that should be included in the EU-US agreement). Name of Contributor of document not available. » Document by Group of Tobacco Researchers on the Tobacco Products Directive: various suggestions including counter-argument to claim that over 60 mg of nicotine in e-cigarette liquid is lethal etc) Name of Contributor of document not available. » Document by TVECA on Tobacco Products Directive: strongly encouraging the adoption of the directive for stronger regulation of e-cigarette industry. As rapporteur for the European Parliament’s Report on Pharmacovigilance, Linda McAvan published a list of organisations and bodies that she had met with, received, or heard from in preparing the report on the Regulation on Pharmacovigilance of medicinal products for human use. The list includes industry organisations, Patient, Professional or Consumer Groups and EU and National Regulatory Agencies including the European Medicines Agency. The list does not mention the name of the lobbyist nor the issues discussed, neither does it describe the type of interaction (meeting, submission, policy paper, etc). Glenis Willmott was a shadow-rapporteur for the Proposal for a Regulation of the European Parliament and of the Council on the provision of food information to consumers (Regulation 2011/1169). When she was contacted by Access Info Europe and asked about the lobbying pressures she had received on this matter, she provided a list containing the names of the 131 lobbies who contacted her during the time the regulation was being developed. Only the names of the lobby groups were sent to us as, due to the MEPs offices’ record keeping practices, further information such as e-mails and position papers had been deleted. Olga Sehnalová, the rapporteur for the Report on the proposal for a regulation of the European Parliament and of the Council concerning approval requirements for the deployment of an eCall in-vehicle system adds an annex to the report which contains a list of organisations, collected on the basis of meetings, mails and position papers. No further details are given. » Commissioners, Directors General and members of their cabinet can no longer meet with unregistered lobbyists. » Commissioners, Directors General and members of their cabinet must publish information about meetings that they hold with lobbyists. Although this information is currently spread over more than 80 different websites, the format is all the same and the information can be downloaded in xml file, which at least permits comparability. Commissioners publish the name of the lobby organisation they met with but not the names of individual lobbyists. » Apart from publishing information about her meetings with lobbyists, Cecilia Malmström, the EU Commissioner for Trade, publishes on her website correspondence received from organisations, companies, ministries and individuals acting in an official capacity. You can also see her responses to the letters and emails received from interest groups. As far as letters from the general public are concerned, Malmström publishes the subject of the correspondence but not the full content, unless the person concerned explicitly consents to having their correspondence made public.